Welcome to your FY19 Section Election Central! Here you'll find all the information on the FY19 election process as it becomes available. If you have questions on anything relating to the section election, please contact the Nomination Committee at swe.pnw.nomination@gmail.com. Congratulations to your newly elected officers! Guidelines: 2 pages or less, font size 12, margins 1 inch. Prioritize roles/experiences, accomplishments, and awards or recognition received. Note that some mobile users may need to click the above link to access the full form. If you have having any trouble accessing the form, please contact the Nomination Committee directly for help. 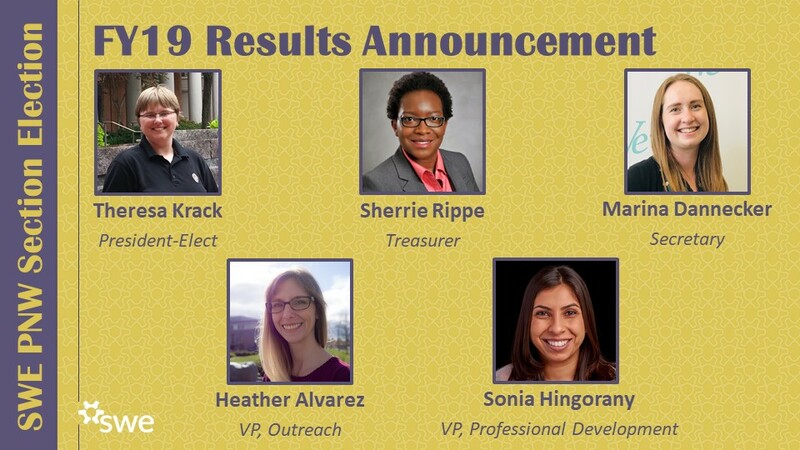 Join your SWE PNW FY18 Nomination Committee and Virtual Brand Team members as they host a an Ask Me Anything with your FY19 Section Election Candidates! 2) Why are you running for this position? 3) What does SWE mean to you/how have you been involved in SWE in the past? 4) How do you see the SWE organizational changes impacting the role you are running for and how will you handle that? 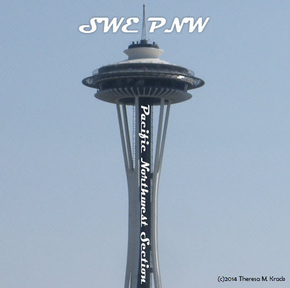 5) What is your favorite part of SWE PNW? 6) Share something you would like voters to know about you.